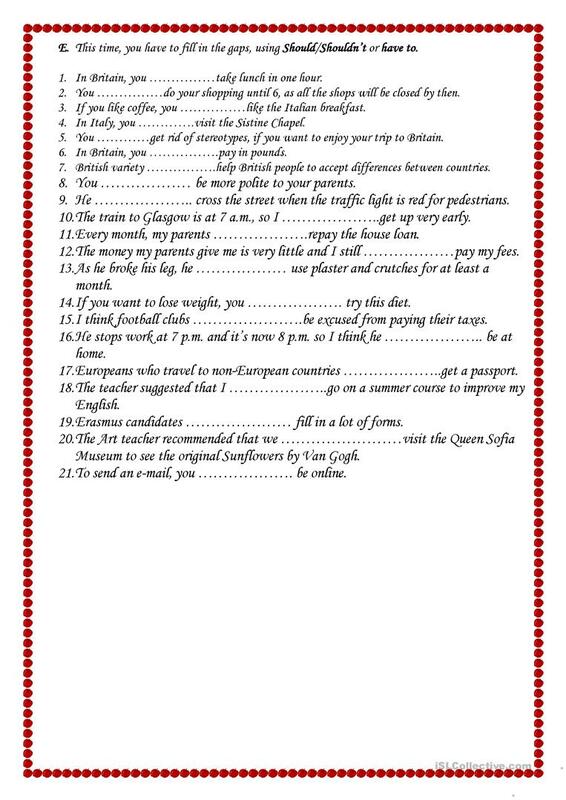 It is a worksheet about the different uses of the modal verb Should. 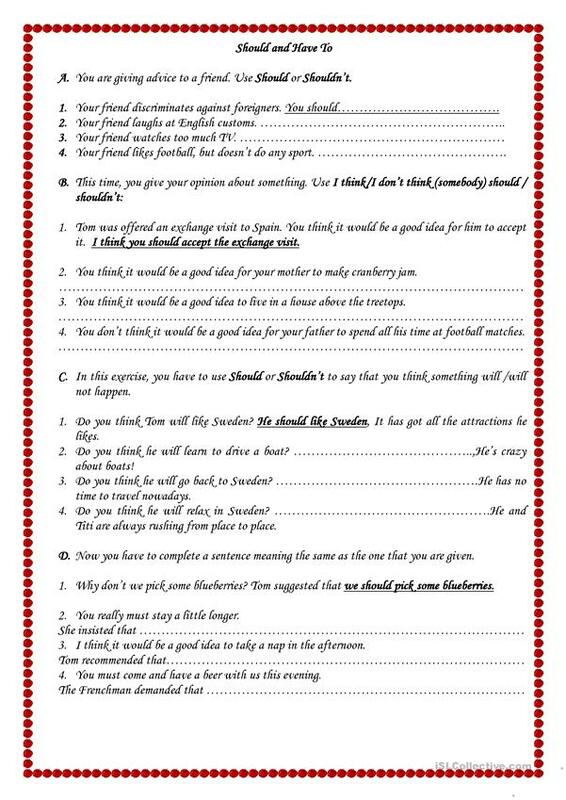 It also includes an exercise where students will have to distinguish between Should and Have To. This downloadable worksheet was created for high school students at Upper-intermediate (B2) level. It is great for consolidating HAD BETTER, Modals, MUST or HAVE TO (obligation), OUGHT TO and SHOULD in English, and can be used for strengthening your learners' Writing skills. It focuses on the topic and words of Friends. fatima is from/lives in Portugal and has been a member of iSLCollective since 2010-08-28 20:05:43. fatima last logged in on 2017-05-08 14:01:19, and has shared 1 resources on iSLCollective so far.